Hello, friends, this is Doug Batchelor. How about an amazing fact? Did you know a member of the grass family is considered to be the fastest-growing plant in the world? It’s a member of the true grass family known as the “Poaceae” or also known as “Bambusia.” We all know it as “Bamboo.” These tall stalks are actually the largest members of the grass family. In the warmer climates of Asia, they are capable of growing as much as 39 inches per day. How would you like to keep up with mowing that field? In fact, bamboo grows so fast that standing in one of these bamboo forests on a sunny day you can actually hear the plants growing. There are around 1,500 different species of bamboo in the world that come in several different colors such as black, green, gold, grey, red, yellow, and powder blue. The bamboo plant is also extremely versatile with an extraordinary range of uses such as—let me take a breath—bicycle frames, baskets, bird cages, blinds, boats, bridges, brushes, buckets, canoes, carts, charcoal, chopsticks, clothing, cooking utensils, diapers, fans, fences, firewood, fishing rods, food, steamer, furniture, garden tools, handcrafts, hats, incense, musical instruments, paper, particle board, pens, pipes, roofing, scaffold, tableware, toilets, toothpicks, toys, umbrellas, and walking sticks. In fact during World War II, in the South Pacific, the U.S. Navy even used bamboo to reinforce concrete. Pretty incredible when you remember that bamboo is just gigantic grass. Stay with us friends we’re going to learn more as Amazing Facts brings you this edition of Bible Answers Live. 1-800-GOD-SAYS, 1-800-463-7297. Keep a pencil or pen handy, we’ll be giving out some websites during the broadcast that will direct you to a number of free Bible study resources. My name is Doug Batchelor. Pastor Jëan Ross: My name is Jëan Ross. Good evening, listening friends. Pastor Doug let’s begin the program with prayer. Dear Father, once again we thank You that we have this opportunity to study Your Word and we ask Your special blessing upon this program. Be with those who are listening wherever they might be. We know that the Bible is Your book and we need Your leading in order to correctly understand it. So guard our minds today, for we ask this in Jesus’ name. Amen. Pastor Jëan Ross: Well Pastor Doug, you opened the program talking about bamboo and what a versatile grass that is. You know I’ve spent some time in the Orient and I was fascinated by how they used bamboo for scaffolding and it goes up story, after story, after story on the sides of these buildings, and it’s strong and people are climbing all over it. And then, off course, you mentioned that it’s such a fast-growing plant. Pastor Doug Batchelor: It’s amazing. Probably everybody listening here, if you’ve ever been to a Chinese restaurant, you’ve eaten bamboo because they put the little bamboo shoots in a variety of dishes. But it’s just phenomenal how quickly it grows and some of it is, you know, 7-8 inches around. And yet it’s just—it’s grass. It’s really what it is. It’s in the grass family and it behaves like grass. And even though they grow up like trees and forests, they have a very short lifespan. They die off after 4 or 5 years and a new bamboo has to grow. Reminds us of that verse in 1 Peter 1:24-25, “All flesh is as grass and all the glory of man as the flower of grass. And the grass will wither and the flower thereof falleth away, but the Word of the Lord endures forever.” God’s Word never fails. A lot of people misunderstand the Bible and they might misapply the Bible. But if you study the Bible the way that Jesus intended and if we look at it the way the apostles use the Scriptures, people won’t make those mistakes and we can have a true understanding of this constitution for human life. We have a free resource that talks about how to study the Bible and Pastor Ross is going to tell us about that. 1-800-835-6747. You can ask for the book “The Ultimate Resource”—talking about the Bible—and we’ll get that right out to you. 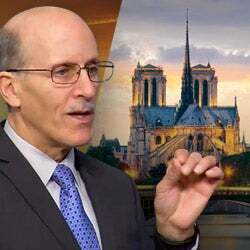 Pastor Doug Batchelor: Now Pastor Ross when we had our broadcast last week, we knew that folks we’re getting pretty stirred up about a popular prediction that judgment day was going to happen yesterday. And we explained to everybody that we would be back today and praise the Lord we’re here. There’s a lot of folks that may be discouraged or confused out there because there was a popular radio host who had been predicting far and wide on over a hundred and fifty different outlets that May 21st was going to be judgment day and the world was going to end, and we were respectfully disagreeing. A lot of very dear people that work at the Family Radio organization also did not agree with Mr. Camping’s Bible interpretation. And I think that we were really concerned for a couple of reasons. One being: that making these wild predictions is dangerous and that—if people get caught up in this, as many did, they’ve been sincere. They invest their last penny and they tried to tell everybody to prepare for this date. In spite of the fact, Jesus said, “No man knows the day or the hour.” And just countless people sold their homes. They cashed out their retirement and their bank accounts. There are some who argued in the families and they left their families to go on the road and tell the world that everything was ending. And it just caused tremendous turmoil. The other big thing is it gives the unbelievers and skeptics and cynics in the world fresh reasons, fresh material to mock the Bible and Christianity. But the Bible never does tell us to pick a date for Jesus’ coming. This is an abuse of the Scripture. And you know it makes us very sad. We know that it has bitterly disappointed some of the people that were believing that today they’d be in glory. And we prepared a website knowing this was going to be a great disappointment. Amazing Facts prepared a website just a little while back to try and minister to the folks that might be confused about this. We have special messages there, study material. Pastor Ross, you want to tell us about that? Pastor Jëan Ross: You know the website is entitled “aftermay21” and you can just type the name to your search engine or you can go into the address. Pastor Doug Batchelor: —.com, right? Pastor Jëan Ross: Yes, aftermay21.com, aftermay21.com. You know Pastor Doug, this I think is particularly important—this website—for those who really believe that something significant was going to happen on May 21. As you’ve mentioned, there’s probably a lot of people out there who are very disappointed, wondering what went wrong? Where did we misinterpret Scripture? This website will give you a clear understanding of what the Bible says with reference to the second coming of Christ. Pastor Doug Batchelor: You know something also that struck me is we received a lot of calls. As a matter of fact, this website—I should say in 5 days—got a hundred seventy two thousand visits. And here in Northern California on Friday, we did an interview with Fox News and that aired 3 or 4 times that day. And then we had another, two other national radio interviews dealing with this subject. Amazing Facts sort of specializes in prophecy, so a lot of people are calling saying, “What’s your view on this?” And what amazed me was—how many people, even though they did not believe it, seem to get a little bit edgy with the idea, “What if?” And it’s like they had to ask themselves. Everyone became a little introspective and, “Oh, I don’t think it’s going to happen.” And a lot of folks were calling me kind of teasing, but there was a nervous sound in their voice like, “Well I don’t want to be too bold about this, what if?” And I do want to remind everybody—as we said on the Fox News interview—Jesus is coming. We believe that firmly. We did not think that it would be yesterday because there’s so many prophecies that still remain unfulfilled, but are preparing for that. But we do believe we’ve entered the beginning of the end. Jesus said,—Matthew 24— “These are the beginning of sorrows.” And I think we’ve entered that time. But the devils use this. We all know the story of the boy who cried wolf. And so when a minister starts to say, “This is the day. This is the day the sky is falling,” but it doesn’t happen—when that time really does come, the devil has made the world less prepared. And so it’s a great concern, and please visit the website. If you know anybody who’s been caught up in this—some of you know people who have quit their jobs and a variety of sacrifices that have been made—please direct them to, very simple, aftermay21.com. And then send it out, put it on your Facebook, link it. There’s a lot of very discouraged people out there—aftermay21.com. I should let you know Family Radio is operating normally today. Their website now has absolutely no reference to this whole escapade and everybody is sort of wondering what is Mr. Camping going to say? Is he going to issue an apology?—which I think would be appropriate. Is he going to say, “The date needs to be recalculated somehow?” Is he going to say, “As back in the days of Jonah, you know, the people repented and so God spared everybody. Of course I didn’t notice any universal repentance happening.” And so it’ll be very interesting and, you know, what he says. I just really think we need to pray because even this, Christ said, “There’ll be false Christ and false prophets.” This is a sign of the end. It’s exactly what Jesus said was going to happen. Pastor Jëan Ross: You know Pastor Doug, let me also mention another website. We mentioned aftermay21.com, but we also have a website dedicated to prophecy called “bibleprophecytruth.com” which deals with the subject of the second coming or the rapture. And you can go along and look at a number of Bible passages as well as a study dealing with that—bibleprophecy.com and then aftermay21.com. Let’s go to the phone lines. We have Mark who is listening in Knoxville, Tennessee. Mark, you’re on the air. Mark: Yes. Hi. Thank you for taking my call. Can I give you a little tease about yesterday before giving you my question? Pastor Doug Batchelor: And say, “There are a lot of people who were calling.” So it was on people’s minds. Your question, Mark? Mark: Yeah. It’s about Luke 21:24. I noticed that Jerusalem was going to be trodden down of the Gentiles until the end of the times of the Gentiles be fulfilled, which I understood ended forty four years ago. Pastor Doug Batchelor: Yeah. There are a couple of years. And let me read this for our listeners—we always have a lot of people driving down the road—and it says, “And there shall be...” What do we say, Luke 21:24? “And they shall be fall by the edge of the sword and will be led away captive into all nations, and Jerusalem will be trodden down of the Gentiles until the times of the Gentiles be fulfilled.” Many people say that, of course, this is the dispersion of the Jews which Luke lived to see—we believe. Then it also is referring to when Israel was re-established as a nation. Now then there’s some who are looking at Israel now as being “spiritual Israel” and saying that Jerusalem—God’s church would be trodden down until there is a restoration of the truth. I’ve heard this used either way. I don’t really have a disagreement on either side. Obviously, what happened to Israel as a nation, there is no nation in the world that can claim what the Jews can claim that they have been dispossessed three times: once in Egypt, once in Babylon, and once by the Romans, and then got back their territory again over a period of four thousand years. There’s just no other nation anywhere like that. And so that’s prophetic. Mark: Yeah. Can I get to my question now? Pastor Doug Batchelor: Oh, I thought there was—I’m sorry. Go ahead. pre-1967 borders, will that put Jerusalem back into the times of the Gentiles, and therefore, put the second coming off many years? Pastor Doug Batchelor: Well that’s a good question. First of all, as of today, I looked on the news and President Obama is kind of restating what he meant by the 67 borders. He said that was misinterpreted—I think he took a lot of heat for that. Secondly, I think that if there is any kind of a conflict that is going to dispossess the Jews that it’s going to be the last war in some way. It’ll be just a catastrophic war. So I don’t expect that to happen again, unless it happens in the context of some last great earthly battle. Mark: Now you said that Jerusalem has been dispossessed three times. Pastor Doug Batchelor: Well I’m counting when Abraham lived in Salem and then he, his descendants, and Jacob went down to Egypt. Then they came back. So that’s one coming back. Then they were carried to Babylon. They came back. Then they were carried off by the Romans and they came back. Mark: Yeah now, Isaiah 11:11—a lot of people believe that refers to nowadays where it talks about, “I will set my hand again the second time.” Now, how could that refer to nowadays if the second time was Babylon rather than now? Pastor Doug Batchelor: Well that’s where we go to the other part of their being an application for “spiritual Israel” because when the tree was cut down, Christ said, “Destroy this temple made with hands and I will raise it up.” The church actually became grafted in to the stalk of Israel—and that you find in Romans 9. We’ve got a book we’ll send you that goes on the detail on this. Pastor Jëan Ross: The book is entitled “Spiritual Israel” written by Pastor Doug and Steve Wohlberg. And if you call our resource line we’ll send that out to you. 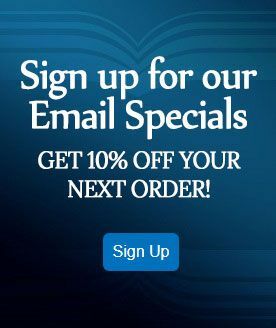 It’s 1-800-835-6747, ask for the book “Spiritual Israel” and it deals with this whole subject of “What is spiritual Israel and how does that connect with the literal Israel?” The book again is “Spiritual Israel.” The number is 1-800-835-6747. Our next caller is Tracy and she’s listening on KEUH. Tracy, welcome to the program. Tracy: I have a question regarding the rapture. I want to know if Christians will be raptured before the tribulation or after. Pastor Doug Batchelor: I’m glad you asked. There’s a lot of dear Christians out there that believe one of three views on this, two are really popular. One is that the rapture takes place before the tribulation. The other is that the rapture takes place after. There’s a smaller group that believes they called “mid-trib.” They believe the rapture takes place in the middle of this tribulation. We, here in this program, are of the old Protestant view that there is a tribulation before the second coming, before the saints are caught up. Rapture just means “to be caught up” and you find that in 1 Thessalonians chapter 4. And there’s a lot of reasons for that. Jesus said in Matthew 24, “He that endures to the end will be saved.” He said, “There’ll be great tribulation in all the world.” And says, “Then you look up, you’ll see your redemption drawing nigh.” Paul said in the book of Acts, “All that live Godly will suffer persecution.”—Oh, I’m sorry, misquoting—He says, “It is through much tribulation we enter the kingdom of God.” And then another—for me, a real coup de grâce on this doctrine is the seven last plagues are very similar to the plagues that fell on the Egyptians. Were the children of Israel still in Egypt when the plagues fell? And the answer is yes. It was until after the tenth plague—the Passover—that they were delivered from Egypt. 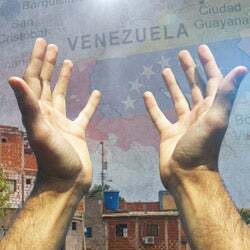 Will God’s people still be in the world during the tribulation? The tribulation in Revelation and the seven plagues are synonymous. You just read Revelation 15 and 16 that is the great tribulation when the seven plagues fall. Will God protect us through the plagues? Yes. Did He protect Israel during the plagues that fell on Egypt? So I think it’s in Daniel chapter 12, “There’s a great time of trouble such as there never was.” And it’s after that, God’s people are delivered—this great time of trouble. So we have a book on that called the “Anything But Secret.” It also deals with the sequence of the tribulation. Pastor Doug Batchelor: Send you a free copy. Pastor Jëan Ross: Send it absolutely free. Give us a call and we’ll send it out to you. All right, let’s see if we can get another caller in here. We have Manuel who is listening in Elk Grove. Manuel, welcome to the program. Manuel: Hi. How are you today? Pastor Doug Batchelor: Doing good. Manuel: Good. I have a question on Isaiah 65, the last part of verse 20. Pastor Doug Batchelor: All right. Manuel: And can you give me a little light on that? Pastor Doug Batchelor: Yeah, let me read it for everybody. It says, “There shall no more thence an infant of days, nor an old man that has not filled his days, for the child will die a hundred years old.” And people grow old. He’s talking about heaven here. The child will die. Pastor Doug Batchelor: And you know who was it? Isaac didn’t get married till he was like forty and Jacob was sixty. I mean they grew much and yet people wanted to kill Abraham for his wife when she was eighty years old. She was so pretty. People aged more slowly. Things have been accelerated since the entrance of sin. In heaven, it’s going to be restored. And children that are resurrected in heaven will not mature in twelve years like they might here, but they won’t even cease being a child for a hundred years. Pastor Doug Batchelor: So it’s just not a good translation in the King James. Manuel: And how about the sinner being one hundred years old shall be accursed? Pastor Doug Batchelor: So it means even a hundred years the sinner, there’s no second chance, there’s no reprieve, no mercy for them anymore. Their fate is eternal, but the child is going to enjoy childhood for a hundred years. Mark: Okay. Now I get it. Pastor Doug Batchelor: How many people at ninety years old wish they could be children again? Pastor Doug Batchelor: Here you are going to have a ninety-year old child. Pastor Doug Batchelor: You see what I’m saying? Mark: Thank you very much for that. Pastor Doug Batchelor: Thank you. I appreciate it, Manuel. Pastor Jëan Ross: All right. Next caller is Morberto and he is listening from New Jersey. Morberto, welcome to the program. Pastor Doug Batchelor: Brother, whatever happened, we just lost your call. Pastor Jëan Ross: I think we just lost him there. Pastor Doug Batchelor: Don’t click, I’ll call back. We’ll take your call again. Pastor Jëan Ross: We’ve got John from New York listening on WMCA. John, welcome to the program. John: Good evening, Pastor Doug Batchelor and Pastor Jëan Ross. Pastor Doug Batchelor: Good evening. You’ll have to turn your radio down, John, if you’ve got it on. John: Yes, I’m sorry. I have it on in the background. Pastor Doug Batchelor: You’re going to get confused because of the feedback, but your question? John: Well I’m a follower of Harold Camping and I love the man dearly, in God’s scheme of things—I don’t mean to put it that way. And I’m very disappointed. But what I want to ask you is—according to the Bible and according to how the way—because I’m totally blind so I can’t read the Bible anymore because I’ve lost my sight now. I’m blind for twelve years—in the Bible it says that, “We would be warned about judgment day.” And that was the whole thing about yesterday because what Abraham—when the angels of God came to Abraham to warn Lot about Sodom and Gomorrah, and then Jonah gone in Nineveh, and Noah, seven thousand years ago, warning the people on that day in a hundred twenty years they would be destroyed. Now, what am I to do now because I don’t know what—it’s like a big letdown for me. Pastor Doug Batchelor: Well you know I’m so glad that you called, John. First of all, be of good courage. Think about the disciples in the days of Jesus, when they thought that Jesus—because they misunderstood the prophecies—they thought that Jesus was going to overthrow the Roman power and that He was going to sit Himself on the throne of David, and that they were going to have international greatness. When He died on the cross, they were devastated. And Christ said, “Do not be discouraged, you’re going to receive the Holy Spirit. I’ve got a work for you to do.” He still has a work for you to do, John. It was a misunderstanding and it’s unfortunate, but regarding your question about “can we know?—If you look at Matthew chapter 24, Jesus does want us to know when that time is near. He gives us these prophecies so that we can know when it’s near, but He’s very careful to say we shouldn’t be picking a day or an hour for that—I know that you’ve heard this over and over again because this was a common echo of people that were disagreeing with brother Camping—but He wants us to know these signs, and I believe the signs are everywhere that we’re near the end. But don’t be discouraged. We are near the end, but we shouldn’t be picking a day. Pastor Jëan Ross: You know we also need to recognize, John, that the Bible does separate what refers to as the “hour of God’s judgment” and the actual second coming of Christ. You can read in Revelation chapter 14, you have the three angel messages. The first angel says, “Fear God.” This is verse 7—Revelation 14:7, “Fear God and give glory to Him for the hour of His judgment has come. Worship Him that made the heavens, the earth, the sea, and the springs of water.” So you have this time of judgment that precedes the second coming of Christ. There are a number of other important things that still have to happen in the context of Revelation chapter 14 before Jesus is described coming on a cloud to reap the harvest of the earth. So, the Bible does speak about a judgment. We want to, you know, make sure that our hearts are right with God because there is this judgment. Pastor Doug Batchelor: John, let me reason with you for just a moment on that. We’re going to have a break in a minute. We hate to cut you off. Just on that, I agree that there is great apostasy in the church generally. When Elijah got discouraged because of the apostasy in the church, he ran into the wilderness and God said, “What are you doing here? Get back in there and bring revival.” The church needs revival. If the idea that God has no longer an organized church in the world only leads us with the conclusion that now all He has is a disorganized church. People can still be saved into and lost from the body of Christ. We still have mission work to do. The Lord has not told us to fold our hands because salvation is over for the world. We still have work to do to spread the Gospel. I think it’s a real misunderstanding for Harold Camping to be telling people that no one else can be saved, that probation is closed. It hasn’t closed yet. People can still be saved. When the plagues fall, when the plagues began, probation has probably closed. Pastor Jëan Ross: You know that’s such an important point because there might be some listening right now that feels as though, you know, they weren’t raptured so they must be lost. Well the good news is that God still wants to save. You know the Bible says, “I’m not willing that any should perish, but that all should come to repentance.” So, the last thing we want anyone to do is to reach the point of absolute despair where they give up. You can turn to God even in sorrow and in disappointment. He’s there to lift us up and to help us. Pastor Doug Batchelor: Yeah, God’s Spirit is so striving with people that’s why programs like these are broadcast in the word. If there’s no more hope of people being saved, and if nobody can be lost, then that Christian radio ought to just unplug. There’s no mission anymore. Pastor Doug Batchelor: So John, there is still a work to do. There’s that prophecy in Revelation chapter 10 that says, “You must yet prophesy to people’s nation, kings, and different languages.” And so you may have thought the work was over. He’s still got a work for you to do. Don’t be discouraged. Please go to the website we put up. There’s a lot of encouraging information there. Pastor Doug Batchelor: It’s called aftermay21.com, aftermay21.com. And I know you’re blind, but maybe someone can negotiate that for you and share with you what’s there. We got video and audio there as well. All right friends, we’re not going away. We’re going to take more calls. Maybe you got questions about this judgment day that was foretold yesterday, but obviously at least the part about the great earthquake and the Lord coming did not happen. And if you’ve got questions, give us a call 1-800-463-7297. Taking a break, be right back. 1-800-GOD-SAYS. My name is Doug Batchelor. Pastor Jëan Ross: My name is Jëan Ross. And again, we just want to remind those listening there’s two websites in particular that we’d like you to jot down and take a look at—aftermay21.com—deals with this whole situation, this judgment day that was predicted—aftermay21.com. And then also another website dedicated to Bible prophecy called bibleprophecytruth.com and you can study a number of great resources there dealing with Bible prophecy, the second coming, the rapture, and other things. So, bibleprophecytruth.com. All right, Pastor Doug, let’s go to the phone lines and see how many calls we can get in. We have Sarah that is listening in San Diego. Sarah, welcome to the program. Sarah: Hi, guys. How are you doing? Pastor Doug Batchelor: Doing well. How are you? Sarah: Good. Hey, my question is about unequally yoked. I’d never gotten a straight answer whenever I ask this, and the reason I’m asking is I’m in a relationship right now where I’m unsure. I am Christian. My boyfriend is Christian as well. However, I have been baptised and he is not. Does that make a huge difference as far as—I mean—us being on the same page in our lives. He’s not been able to understand that. Pastor Doug Batchelor: Well I don’t want to put you on the spot, but if you’re comfortable, do you mind my asking what is your denomination background? Pastor Doug Batchelor: You may not answer me. Sarah: I go to a non-denominational church. Pastor Doug Batchelor: Okay. You go to a church that believes water baptism. Pastor Doug Batchelor: And your boyfriend has not been baptised for what reason? Sarah: Well, I guess he just hasn’t gotten into that. You know that point where he feels that he can’t—I mean we both go to church together, we go to Bible study together. We both believe the same thing, it’s just that I’m not sure if, you know, me being baptised and him not makes us unequally yoked. Pastor Doug Batchelor: That’s a good idea. Pastor Jëan Ross: You know it answers a lot of these very important questions, and I think he’d find it interesting as he studies the subject. Pastor Doug Batchelor: Yeah whether you call for it or read it online, it’s free. We want to get the truth out. You think that might help, Sarah? Sarah: I think so. Thank you guys very much. Pastor Doug Batchelor: You’re welcome. I appreciate your question. God bless you. We’ll be praying for you. Pastor Jëan Ross: Our next caller is—let’s see—David. And David is listening from Queens, New York. David, welcome to the program. David: My question is—the verse that says, “No man knoweth the hour nor the day, nor the angels in Heaven, not even the Son.” According to Mr. Camping, the word “Son” was not referring to Jesus Christ but was referring to Satan. He said, “…because in the Greek Bible the word “Son” was not capitalized.” What say you? Pastor Doug Batchelor: Well, I would just have to say—and I don’t want to be disrespectful—but when it comes different understandings of theology, there are some verses that are may be a little bit ambiguous and it’ll take a deeper study. I don’t know of any Bible scholars that have thought that this verse is an issue. You will find thousands of people that might be in the Calvinistic camp. You might find thousands of people that might be in the Arminian camp of theology. Harold Camping is in the camp by himself—and I didn’t mean up on there—but he makes these things up—pardon me—and to me it just seems totally baseless. I don’t know what books he’s reading to get these dates and these interpretations, but Christ is speaking very clearly. He’s not talking about the devil doesn’t know. Why would He even say that? He’s saying, “No man knows and not even the angels…” and He goes one step beyond the angels and said, “…not even the Son, but the Father.” Well when Christ was on earth, Jesus is saying, “Look, don’t be badgering Me for the day and the hour.” When He was in human flesh on earth, Christ did not have all the knowledge simultaneously swimming around in His head. He was basically saying, “Look, the Father is not tipping His hand to me in my human form right now. I’ve laid aside My divinity, so I don’t know right now. So don’t bug Me and say, ‘tell us a day, tell us a day’ like I’m keeping a secret. I don’t know right now.” It had nothing to do with the devil. Pastor Doug Batchelor: Good point. Pastor Jëan Ross:—or the Son,” it’s always with reference to Himself. Pastor Doug Batchelor: Yeah, you just got to use Biblical interpretation and let the Bible explain itself and Christ never used it that way. So does that make sense? David: What about his reference to the Greek Bible that the word “Son” was not capitalized? Do you happen to know if that’s true or not? Pastor Jëan Ross: Well you know when it comes to Greek, there’s a number of manuscripts that you can look up. You’ve got the different types of letters, different forms, and these Greek manuscripts do vary a little bit. You got the Textus Receptus which is really a combination of manuscripts that you have in the King James Version from. You also have the Alexandrian text, you got the Byzantine text. You’ve got different types of text. So they all have some slight variations, and that’s where you need to look at the context. What is the context of the verse? How is it used elsewhere in the Greek manuscripts? And if you just look at the big picture and look at the context, it’s pretty clear that the “Son” referred to in this verse is Jesus. Pastor Doug Batchelor: Yeah. And the punctuation that you have today—the reasons for punctuation—is very different from what they did in the Greek. I don’t think there’s any question that the word “Son” there is referring to Jesus, Son of man. We’re the ones that capitalized that in the King James translation. Pastor Jëan Ross: And again, you need to ask the question “Is there anywhere else in the Scripture where ‘Son’ is ever referred to as Satan?” There’s just no reference, no verse, where “Son” is a name given to Satan. David: That’s a good point. Thank you very much, brethren. Pastor Doug Batchelor: All right. Thank you. Pastor Jëan Ross: All right. Let’s take a look at our next caller. We have Jane who is calling from New York. Jane, welcome to the program. Jane: Okay. Thank you. I’m curious because they always tell you that you cannot go to prophets or to fortune tellers. And yet in the Old Testament, I came across where Saul never went to (incomprehensible), but he was able to pull up a prophet from the dead and do that. So what is the contradiction there that you’re not allowed to do it, but God would actually allow this man to do this? Pastor Doug Batchelor: Well for one thing Exodus 22:18 is very clear, “Though shall not suffer a witch to live.” They were not to have a medium or a witch, soothsayer, or astrologer in their midst. All of that dealt with, you know, diabolical demons and false gods. And He didn’t want them to be involved in that. King Saul had grieved away the Holy Spirit—and I believe you read about this in 1 Samuel 28—and Saul was not supposed to go a witch. He had to get someone to find out kind of in a black market where he could find one because he had chased them all out of the land. When the Lord would not speak to Saul because he grieved away the Spirit, he got this lady—this witch of Endor—who ostensibly created or conjured up this apparition, Saul never saw it. It says, “He had to ask the woman what does he looked like.” And so this woman basically, you know, went through all the tricks of the trade that working with devils created an illusion that discouraged Saul so much he committed suicide the next day. So the very fact that everything went bad when he went to the witch is evidence that this was not of God. The witch did not resurrect Samuel the prophet. She probably was working with demons that created some apparition. Jane: How do these demons actually know him? Did the demon actually tell him what God has also told him through Saul or the prophet? So these demons know these stuffs? Pastor Jëan Ross: You know the Bible tells us in 2 Corinthians 11:14, “No wonder for Satan himself is transformed into an angel of light.” So, you know the devil is very powerful. His demons are very powerful and they watch, they hear, and then they can appear as a dead loved one or as dead prophet in this case with Saul. And they can speak things that sound familiar that might even contain a certain degree of truth. But then ultimately it leads to devastation; and in Saul’s case, death. Pastor Doug Batchelor: Yeah. So the devil, of course, knew what God had told Saul because He said it publicly through a prophet. So he had a record of all that and the devil can just, you know, record and replay those things at his discretion. So, we do have a lesson that talks about this very Scripture and it’s in the lesson—I believe—“Are The Dead Really Dead?” It’s a supplemental note in there on what happened with this. We’ll send that to you for free. Pastor Doug Batchelor: If you’d call our resource line, Jane, it’s 1-800-835-6747 and ask for the study guide “Are The Dead Really Dead?” We’ll be happy to send that to you. Pastor Doug Batchelor: That’s right. You ask for that one as well “Does God Inspires Astrologers And Psychics?” Either one, ask for both—“Are The Dead Really Dead?” and “Does God Inspire Psychics?” We’ll be happy to send that out. 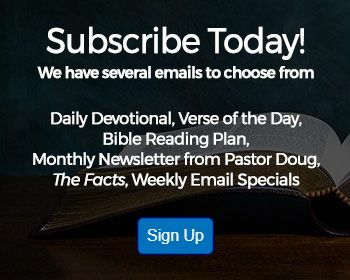 Pastor Doug Batchelor: Or read them both online. Pastor Jëan Ross: That’s right. All right. Our next caller is Sara and she is calling from Michigan. Sarah, welcome to the program. Sara: My question is—no, actually you answered—I had two questions, but you answered the first one. And they told me I could only—you know—I mean that’s one. So my second question is about the Jews. I don’t really know how to word it. I don’t want to send anyone or anything. I’ve always wanted to know that—I never really understood why they—I know there’s issues all over the world. Sara: But for Jesus to forgot to have showed that line—If I’m correct—for Him to come down through and for them to be going through all of the things that they went through—and it really started when I went and visited a holocaust center. I didn’t love it and it just been with forever. And I just wanted to know—is this like a generational curse for the Jews? Because with His crucifixion—you know, watching the show—watching the “Best story ever told” and shows right there, it’s always been said that those were the Jews and they were screaming, “Yes, hang Jesus.” And, you know, these are His people. Pastor Doug Batchelor: Well I think I understand your questions, Sara. Let me share with you—and you know when Mel Gibson came out with his movie dealing with Jesus, there was quite a bit of fear among the Jewish community. They thought that it was an anti-Semitic movie. Well I’m half-Jewish. I thought to myself they’re just trying to, you know, tell the history. It is true that there were Jewish people instrumental in having Jesus crucified. It’s also true that the hero of the whole story was Jewish and all the authors of the Bible—with the exception of Luke—are Jewish. And the apostles were all Jewish. So, when you tell the story of Jesus coming through the Jewish nation, and some loved Him and some hated Him, that doesn’t cast all the Jews in a bad light because every Christian believer in the world today uses a Jewish book as their constitution. You know what I’m saying? Pastor Doug Batchelor: So the Jewish nation really became a vehicle through which God showed this great battle between good and evil. The greatest heroes in the Bible are Jewish and some of the greatest villains, you know, like Judas and others were Jewish. So, you’re going to have good and bad all through the Jewish story. You got King David and you’ve got, you know, Judas. You got all the good and the bad in there and, of course, Jesus Himself. So, as far as the Jewish nation, it is a fact that sometimes people will suffer for generations because of decisions their ancestors make. That’s just cause and effect. And you know obviously, the Jewish are in some respect a very unique nation now. When you look at their size in comparison with the burgeoning real estate that the, you know, many of their enemies have, it’s a miracle that they are surviving right now. So, very interesting study. You would also appreciate the book that co-authored with Steve Wohlberg on “Spiritual Israel.” It talks about some of these, Sara. We’ll send you a free copy. Pastor Jëan Ross: Again, the number to call is 1-800-835-6747. You can ask for the book “Spiritual Israel” and we’ll be happy to send that out. Our next caller is Mary and she is calling from Missouri. Mary, welcome to the program. Mary: Hi. Thank you. Hi, Pastors. The reason I called is that I know you get asked this question a lot, but it’s about Sunday worship, about the Sabbath being on Saturday like it says in the Ten Commandments. And I was reading the USA and Bible Prophecy where it says the Catholic Church changed that a hundred and twenty seven years ago. Pastor Doug Batchelor: That the Catholic Church changed what? The Sabbath? Mary: The Sabbath to Sunday. Pastor Doug Batchelor: You know, it’s actually the change from the church worshipping on Saturday to Sunday is something that really happened during the first two or three centuries of the church’s history. Pastor Doug Batchelor: And all of the Christians all worship on the Sabbath day when you read the New Testament. 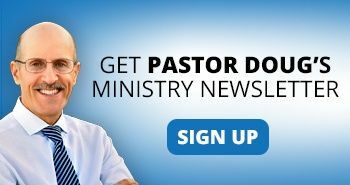 Pastor Doug Batchelor: Now you can worship God seven days a week. We ought to do that. But as far as the day they kept as a Sabbath, it was always the seventh day. Gradually what happened though, as the church headquarters sort of moved to Rome—which, you know, eventually the Roman Catholic Church grew up there—but as the church headquarters moved to Rome back in the days of Peter and Paul and the church began to grow with the conversion of Constantine—Constantine was the one who kind of established Sunday as a national day of rest with his Edict of Milan in 313 A.D. or is it 321 A.D. I think maybe 321 A.D.
Pastor Jëan Ross: Right around from 303 A.D. onwards where you see a change. Pastor Doug Batchelor: Yeah. And then at the same time, the Jews had become very unpopular in the Roman Empire. And so many of the Christians in order to be more attractive to the Pagans that worship on the first day of the week and to distance themselves from these Jews who’d become very unpopular, they began to shift away from the seventh-day Sabbath more to the first-day Sunday. And that changed, I think, probably took two hundred years, but the Catholics freely admit that they were responsible for the change. They put it in the writing, finally. Pastor Jëan Ross: You know, Mary, we’ve got a website called “sabbathtruth.com.” It’s an excellent website. Mar: I don’t have a computer. Pastor Jëan Ross: Oh, you don’t. Pastor Doug Batchelor: We have a book on it. Pastor Jëan Ross: We got a book? Pastor Jëan Ross: “From Sabbath To Sunday.” We can send you—let me give you the number. It’s 1-800-835-6747. That’s 1-800-835-6747. Pastor Jëan Ross: And then also now for all of those who are listening, maybe there’s somebody that you can share this with—sabbathtruth.com. If you go to the website, theres a series of seven documentary videos. Outstanding! Giving you the history of the Sabbath and the change that took place, how it happened. It’s very well done. So, sabbathtruth.com is the website as well. Pastor Doug Batchelor: Or sabbathtruth.net. It’s probably the most popular Sabbath website in the world right now. By the way, I gave you a wrong title for the book. Pastor Doug Batchelor: The book that we’ll send you is “Is Sunday Really Sacred?” It gives the history. There’s another good book called “Sabbath From Sunday”, but it’s not on this library. The “Is Sunday Really Sacred” and we’ll send you a free copy of that. Pastor Doug Batchelor: It tells you the history of the change. Mary: Thank you very much for your answers. Pastor Doug Batchelor: You’re welcome. Pastor Jëan Ross: Next caller is Charles and he is calling from Sacramento. Charles you’re on the air. Pastor Doug Batchelor: And your question? Charles: Yes. My question is—I was baptised as a Christian many years ago, and I was calling to see—and then (I’m currently involved) actually in another organization, but I was wondering if my baptism is still valid because now I’m stuck in the original organization that I started with years ago. So I’m wondering if I have to get baptised over again. Pastor Doug Batchelor: Well, I don’t know, maybe. There is Biblical ground for rebaptism and there are three reasons, most common is if a person is baptised but not Biblically. Sometimes people are sprinkled as babies and they’ve really never repented and accepted Jesus. We’ve been taught and baptised by immersion as Christ was and as the Bible teaches. The second reason for rebaptism is if a person has gone through some major denial of the truth and “backslidden”. If they’re going to come back to the Lord, they need to be remarried. If they’ve divorced Jesus publicly, they need to make a public recommitment and baptism would be appropriate. And then the third reason—you find an example for this in Acts chapter 19—is if a person has come into a whole new understanding of what the truth is as example. It might be appropriate to be re-baptised. You know, someone doesn’t want to—were you baptised by immersion when you are first baptised? Pastor Doug Batchelor: Well then, you know, you can maybe come back to the Lord and do it through a profession of faith, just publicly saying, “Oh, I drifted from the truth and I want to come back now.” And if the Spirit’s working on you, you may want to get a whole new beginning with rebaptism. Pastor Doug Batchelor: And that’s something you want to talk to your pastor about. Pastor Jëan Ross: Yeah, it’s definitely not something that, you know, God can’t bless. Whenever we make that public confession and we are baptised—and you don’t want to be baptised every time you make a mistake. Pastor Jëan Ross: But there are those occasions were a person might wander away from the Lord and get reconverted and come back, and then rebaptism is appropriate. Pastor Doug Batchelor: We have a book I think. We’ll give you a little more on that. We’ll send you free or you can read it online. It’s called “Baptism: Is It Really Necessary?” And I believe this book also addresses rebaptism. Pastor Jëan Ross: The number again is 1-800-835-6747. You can ask for the book “Baptism: Is It Really Necessary?” Our next caller is Ronnie and he is calling from New York. Ronnie, welcome to the program. Pastor Doug Batchelor: You’re on, Ronnie. Your Bible question? Ronnie: Oh, great! Yeah, my question is whether or not it’s Scriptural to learn as much as you can about Christianity within your lifetime. Pastor Doug Batchelor: —and it will help you in this life. So I’d say absolutely. The greatest study in the world is theology—the study of God. What’s greater than God? What’s greater than the character of Christ as a field of study? I’d say by all means. Pastor Jëan Ross: You know you can study the Bible for many, many years, and yet there’s still untold mysteries and gems of truth that you can still discover. The more you study the more you learn. Pastor Doug Batchelor: Yeah. There’s no submarine they’ve made that will go to the depths of God’s knowledge in the Bible. It just gets deeper and deeper. It’s amazing. Pastor Jëan Ross: You know you`ll appreciate the book that we offer at the beginning of the program called “The Ultimate Resource”, dealing with the Bible. You’ll find it very helpful. The number is 1-800-835-6747—that is our resource line—and ask for the book, Ronnie, “The Ultimate Resource”, talking about the Bible. Pastor Doug Batchelor: Yeah. And one more thing since you sound like you’re really interested in studying, we’ve got a Bible study course. It’s free, you can do it online. If you do that course, Ronnie, it will change your life. Everyone that’s gone through that course writes us back and says, “Where have I been?” It’s called “The Amazing Facts Bible Study Course” And the first lesson deals with the Bible and it’s called “Is There Anything Left You Can Trust?” You do that lesson, and I think you can go to Bible Universe. Ronnie: Yeah. Actually, I’ve just done that because I ordered the “Spiritual Israel” before. Pastor Doug Batchelor: Oh, good. Good for you. Pastor Doug Batchelor: You go through that study course, it`ll change your life, I promise. Thanks for your call. Pastor Jëan Ross: Our next caller is Joan and she is calling from New York, listening in WMCA. Joan, welcome to the program. Joan: —Harold Camping prophecy and you said that you set up the website after May 21? Pastor Doug Batchelor: Yes. Now, were you somebody who was listening to Harold Camping and wondering about what he says? Joan: Oh, no, not at all. Pastor Doug Batchelor: But you may know somebody. Pastor Doug Batchelor: We did. Joan: —after May 21 to help people. Joan: Exactly. And I really applaud you for that. When did you set up that website? Pastor Doug Batchelor: —about this obviously not happening. Pastor Doug Batchelor: Thank you. Joan: —because we believe and we know that this 21st wasn’t the end. Pastor Doug Batchelor: Hey, Joan, we’re about to go off the air. I didn’t want to cut you off. We’re running out of time. We got the background music. We really thank you for your call. And listening friends, we hope that you will tell your friends, if you know anyone who’s been discouraged by this false prophecy about judgment day, go to aftermay21.com. Keep in mind that we are a Bible ministry that needs your continued help as well. God bless you, friends.